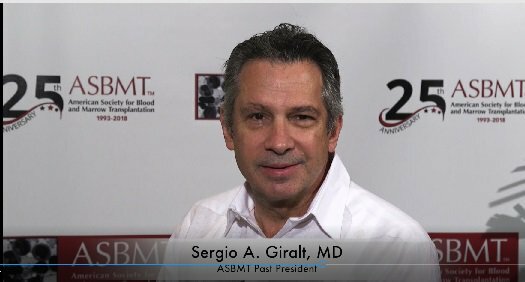 This year, the ASBMT will celebrate its 25th Anniversary! To honor the occasion, throughout the year each monthly issue of BBMT will contain something special about ASBMT’s anniversary, including histories, photos, and personal memories from those who were there when it all started. Be sure to follow ASBMT on Facebook and Twitter for videos from ASBMT leadership – past and present – who will share stories about ASBMT’s early years, and they will tell you why they are proud to be a member of ASBMT. You are also encouraged to share your own video wishing ASBMT a happy anniversary or tell others what ASBMT means to you! And of course, this February, drop by the ASBMT booth (407 & 409) at the 2018 BMT Tandem Meetings in Salt Lake City to walk down memory lane and revisit some of the accomplishments ASBMT has helped to bring about since 1993. We will have a photographer at the booth who will provide you with a FREE professional headshot. You can also schedule a time to create your own "What Does ASBMT Mean to You" video. There will also be a plenary celebration which will include presentations about the Society’s beginnings, critical advances in clinical research and transplantation immunology, and a brief look into the future. To learn more, visit http://bit.ly/25thPlenary. Back to the January 2018 issue of eNews.